Looking for some pre-semester excitement? Caught up in the Polo Boys fever? Or just yearning for some eye candy? Look no further than your very own NUS Water Polo Boys! 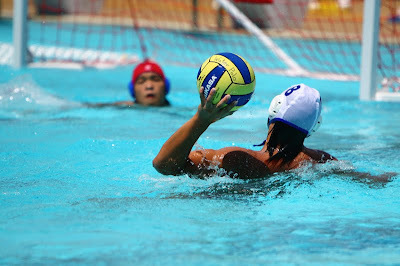 This coming January, the NUS – Great Eastern Water Polo Challenge will be held at the SRC pool! It promises thrills and spills and intense water action between various varsity and polytechnic teams, all looking to stake a claim to the trophy! This year’s installment will feature 9 boys’ teams, and for the first time ever, 4 girls’ teams. The high level of play promises to be an exciting eye-opener! We need you! So do make some time to come down to the pool and lend us your support. For more information, please contact Biwei at biweilow@nus.edu.sg. Our facebook group can be found HERE. Feel the excitement and cheer your very own NUS Water Polo Team! Bear witness to a clash of titans as we fight to keep the challenge trophy at home, here in Kent Ridge.